What Is The Deal With Online Registries? 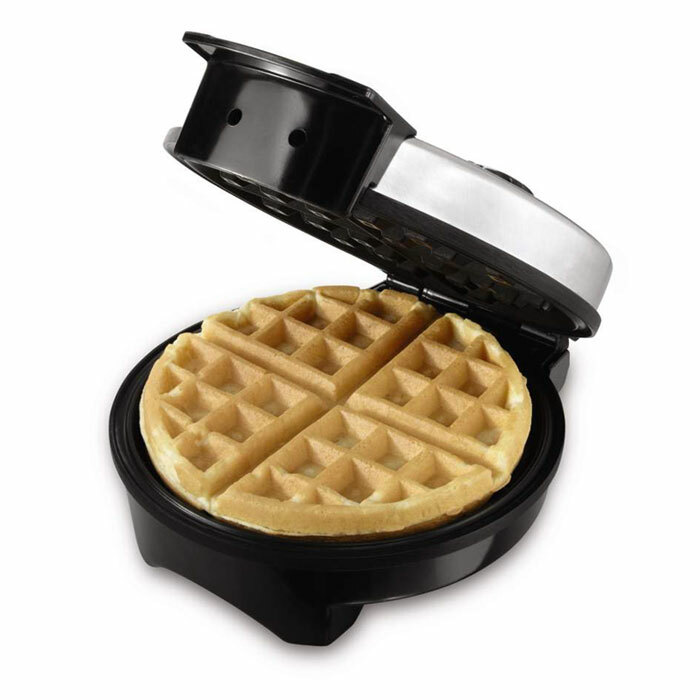 Registries are already a weird thing we’ve agreed upon doing as a society, but after receiving two waffle irons within weeks of my engagement, I begrudgingly signed up and now understand the appeal. But a huge reason for that is because I signed up for an online registry that lets me register for anything from any store, in one place. It’s pretty great! However, things like online and honeymoon registries have to be navigated carefully, as most people still aren’t familiar with them, so I’m going to break down a few of the common features you can look for and how they should be handled. The main appeal of these types of registries (Simple Registry, NewlyWish, MyRegistry, to name a few) is that you can list gifts from anywhere, on one page, so your guests don’t have to find your bedding at Macy’s and your plates at Pottery Barn and your tech gear at Best Buy. It also means that you can register at smaller or local stores, or stores that don’t have websites, which is fantastic for variety and also supporting small businesses. One thing to be mindful of is ensuring the things you register for are still in stock. A few times I’ve found that trays, glasses, and decorations I registered for at a smaller store were completely out of stock, and I had to change my registry accordingly. Also, check out how they work, and whether the registry redirects your guests to purchase the gifts at the specific sites, or whether you just get the cash and it’s up to you to keep your promise and use it to buy the thing you intended. Because you DO have to use the money to buy the thing you said it would be for, which is another reason why it’s good to regularly check that items are not sold out. So, you want a KitchenAid mixer, right? We all do, and you registered for one because if you had $600 to plunk down on one you wouldn’t be in this predicament. But chances are many of your friends and family do not have $600 to plunk down on a mixer either! Many of these sites offer ways to split up larger gifts into separate payments, so someone can chip in $100 to your mixer, another person $50, and soon enough it’s yours. Remember that separate thank you notes are required for everyone who chipped in, no matter how small a donation. Probably the best part of online registries is that you can register for experiences, not just physical things. I have honeymoon activities (snorkeling, sailing), cooking classes, and magazines subscriptions on mine. Most likely these sites will just give you cash to spend on these activities, so it’s doubly important that you actually do these things. To be extra nice, take some pictures and send them to the gift-giver to show them how much fun you had! Speaking of cash, many of these websites have a built-in option for a cash gift (something I didn’t notice on mine, and cannot get rid of, which is the one thing that irks me). As we’ve mentioned before, everyone knows that everyone else could use cash, so there’s usually no need to make it explicit. Many couples these days could really do without matching china, or even cooking classes, and instead would like to save up money to buy a home or make some other significant purchase. And while I am all for saving up money you receive as gifts for something like that, I would suggest against putting a “down payment fund” or “our dream home” on your registry. Here’s the thing I’ve noticed: the people who give cash will always give cash, but the people who give gifts like giving specific gifts. And asking that their “gift” be to throw $50 into a general pile of cash for a home that doesn’t exist yet is sort of cheating them out of their part of the arrangement. Also don’t register for a dog. I saw that. It was weird. If you register at a site like Amazon or Macy’s, giftees will usually pay the shipping and taxes to have the gift sent to your house, because that’s just built into the way those sites work. However, with many online registries, it’s not that simple. For instance, if a guest buys me a gift that costs $75, their $75 is transferred into a holding fund on the site. I can then have it deposited directly into my bank account, or have a check sent to me, and use the money to buy the item I requested. They haven’t ordered you anything, but that credit card transaction still costs money. Most sites do not require users to pay to use the service. It seems that most of them run on credit card transactions, fees and ads. Each site has its own way of doing fees. Some have a flat fee, others have fees based on the cost of gifts. Some require giftees to pay the transaction fees, while others allow you to pay it for them. I’m divided on which is the “nicer” way to do things: on one hand, making sure your guests don’t pay extra fees is nice. On the other, if you’re giving a gift and make the recipient pay a fee to receive it that’s not very nice. And if they bought you a gift through Amazon they would be paying shipping and tax fees anyway, so why should it be any different here? And Amazon and other sites make at least some of their money via product markups and such, right? And then you get into this whole conversation about capitalism and corporate greed when really you just want someone to get you a nice salad bowl. So shop around, see what the fee policy is, and if it seems reasonable to you it’s probably ok. I would also suggest factoring in shipping and tax costs into gifts you put on an online registry. If you say it’s $75 for a set of plates, someone gives you that $75, and you go to the site to order it and find it’ll be $85 with shipping and handling, that sort of defeats the purpose of being given a gift. There will most likely be someone who thinks having a registry like this is rude. There are people who still think having regular registries are rude. I’m still one of those people sometimes! But just remember that having a registry doesn’t mean that anyone is obligated to use it, which means two things. One, if you are giving a gift and don’t like the couple’s registry or its fee policy, you are perfectly welcome to buy them something else somewhere else. Two, if you are the owner of the registry, you cannot get mad if you guests don’t buy you gifts off of it. Actually, you can’t get mad if people don’t buy you gifts, period. It’s a “gift,” not a requirement.